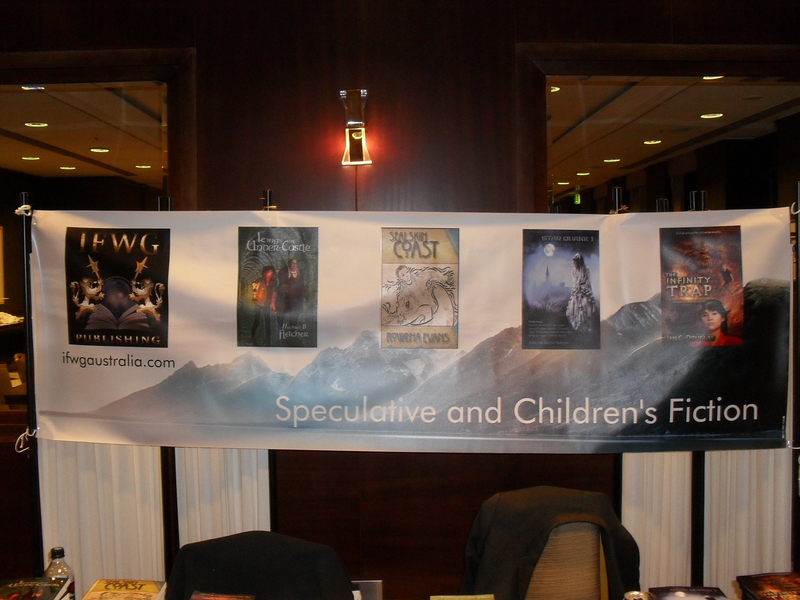 As part of IFWG’s step-up of marketing and publicity, and simply wanting to network with the Australian writers’ community, they set up a dealer’s table at Continuum X, in Melbourne Australia (6 to 9 June 2014). 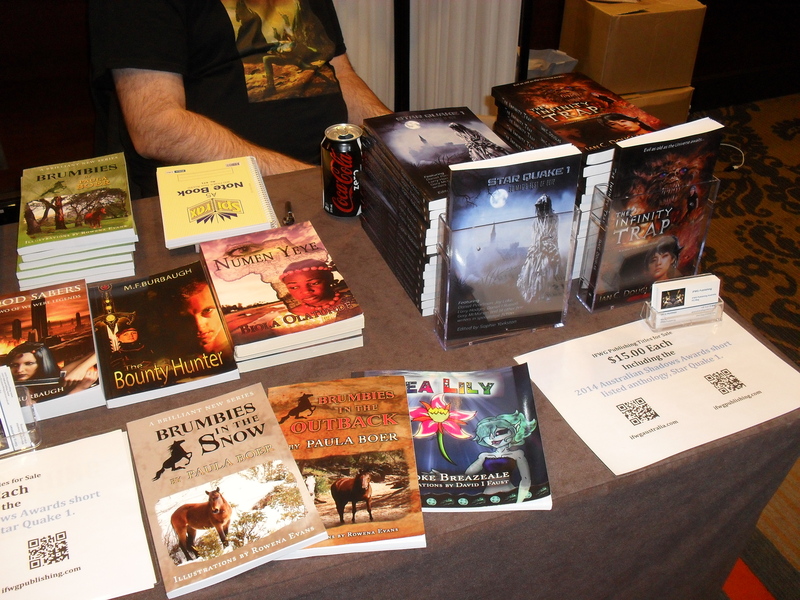 Continuum is a major writer’s convention in the Australian calendar, and is host of the Chronos and Ditmar Awards (the former celebrates popular writers and fans in the State of Victoria; the Ditmar covers all of Australia). 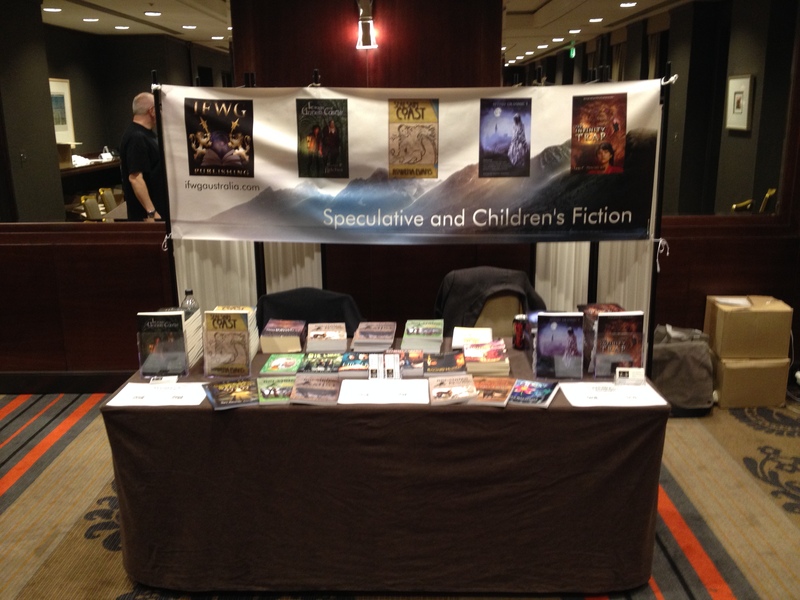 It was a great event, and IFWG Publishing Australia (also representing IFWG Publishing, and SQ Mag ezine), felt privileged to be part of it. Gerry Huntman (Managing Director IFWG Publishing) and Steve McCracken (Marketing Director IFWG Publishing) met old friends, and made new, as well as establishing new connections and business relationships. Both considered the experience well worth the investment. 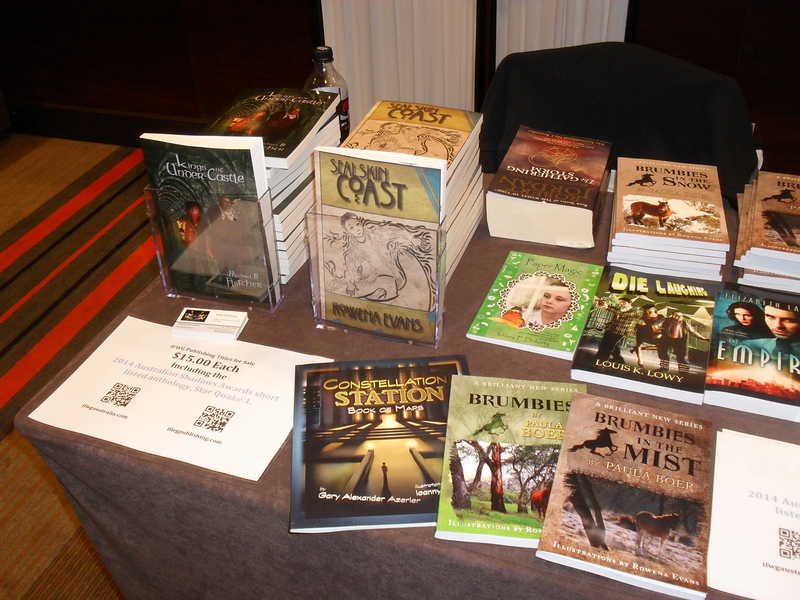 They also had all the Australian imprint titles for sale, as well as a sampling of the international books. 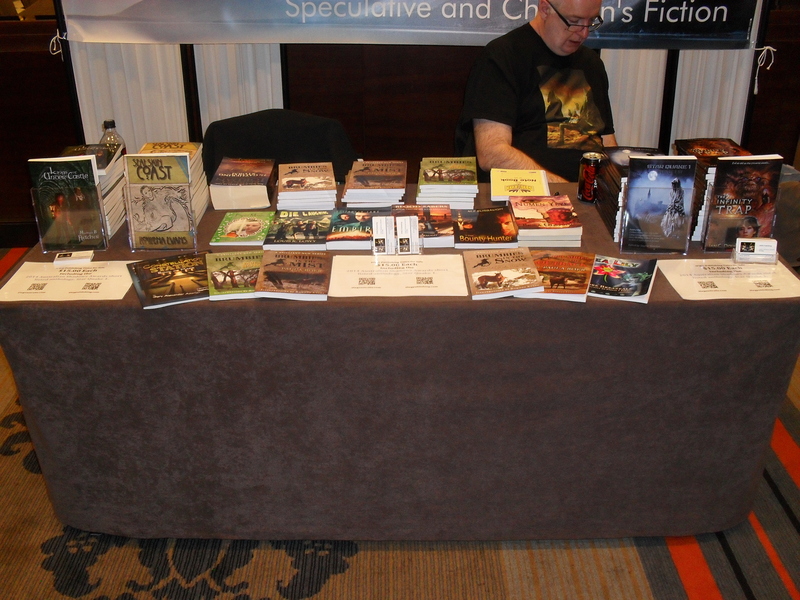 There were many onlookers who learned something about IFWG, and there was frequent praise for our titles. 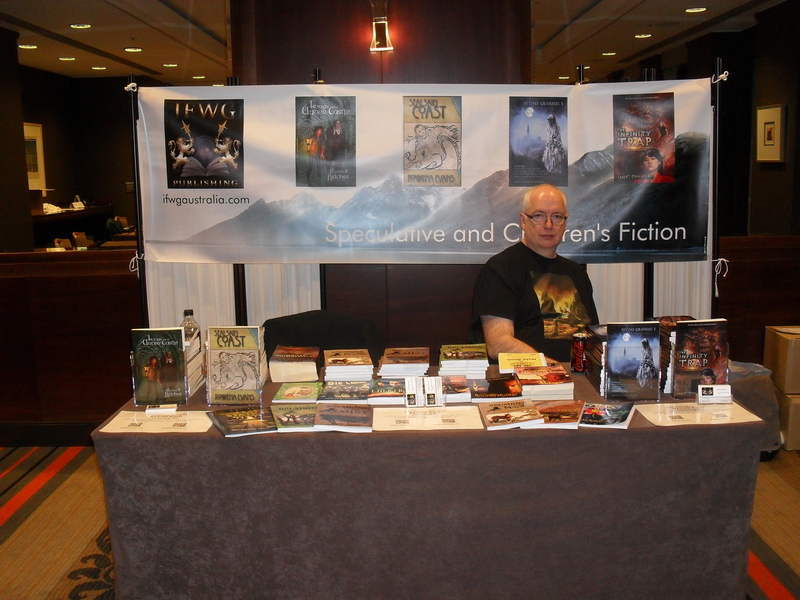 The greatest interest (and purchases) was concentrated on Star Quake 1, as it has just recently been shortlisted in the Australian Shadows Awards (for best edited work), and Sealskin Coast, the latest published title. In both cases, the covers were given high praise – thank you, Jeffery Doherty for Star Quake 1, and Geoff Brown for Sealskin Coast.